Creating A Lifestyle That SELLS. 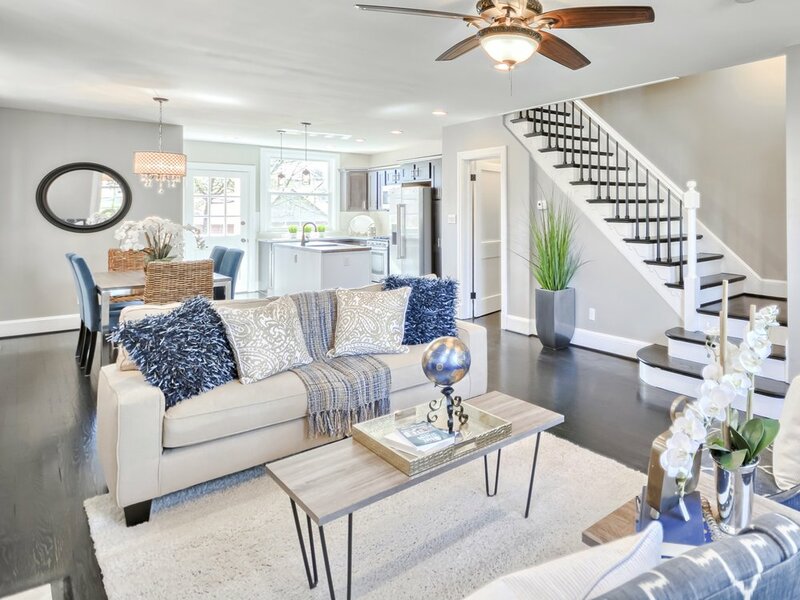 Staged Above offers professional home staging and redesign services to homeowners, investors, builders, and real estate agents in the four-state region of MD, WV, PA, and VA.
Bring your vacant or model home to life with Vacant Staging. Staging captures potential buyers from the first time they see your property online to the moment they walk in the door and start mentally unpacking. Vacant Staging allows a cold, empty home to transform into a warm, welcoming property. Our Owner Occupied Consult provides homeowners with the tools and expertise needed to have your home looking it's best for professional photos and showings. This 2 Hour Consult with our stager allows you to see your home through a buyers eyes. This will help you to prepare your home to appeal to every buyer. After an initial Owner Occupied Consult bringing in some additional items may be recommended. This will help to showcase your home's features to potential buyers. Our OO+ Staging allows our stager(s) to bring in soft goods, art, and accessories to embellish the furniture and features your home already offers.